We believe in making an impact for the greater good. It is one of the pillars of The Storied House and one that we will strive to fulfill. We have numerous ideas and this space will continue to evolve, but first we want to shine a light on One Moore Book, an organization founded by Wayétu Moore, a Brooklyn-based author and former Liberian refugee. Recognizing the lack of culturally relevant books in her native country, she set out to change that by writing the first-ever book for Liberian children. Offering content that the children could relate to helped nurture their enthusiasm for reading and increased their motivation for learning. One Moore Book has since published books in Haiti, Brazil and Guinea with a series in Ghana slated for late 2018. We couldn't think of a better organization that supports our shared belief in the importance of storytelling as a means for a better future. Enough from our perspective-below are some direct links to the site to donate to their cause as well as some more background about their mission. "As part of our ongoing commitment to encourage a love for literature among the world's most underrepresented groups, we opened a bookstore! The first One Moore Bookstore site is based in Monrovia, Liberia, West Africa. 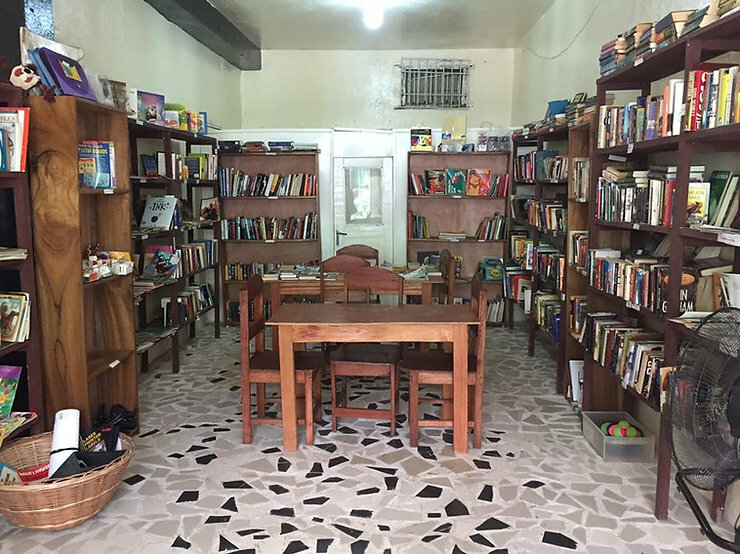 The store was opened in May 2015, and distributes literature from popular and celebrated African and international authors, as well as new and unknown authors whose narratives serve the needs of the underrepresented Liberian reader. One Moore Bookstore has reading tables, where community members are welcomed to spend time exploring our selection. The store employs local Liberians, men and women who are residents of the community we serve." One Moore Book is a 501 (c) (3) non-profit organization that encourages reading among children of countries with low literacy rates and underrepresented cultures by publishing culturally relevant books that speak to their truths, and by creating bookstores and reading corners that serve their communities.